Wish you a happy 2018. Anyone can join Oriflam in 2018 and become a Manager or Senior manager in Oriflame. To become a Manager you just need 30-40 active Oriflame consultants. To become a Manager you just need 30-40 active Oriflame consultants. You know, a couple of months ago, I launched the 90 days challenge to encourage team members who wanted to become Manager in Oriflame. I never thought that it would happen so fast. It's 1st Jan 2018 -- there' are more than 10 new people who have achieved Manager level and above. Just a few hours back Megha reached the Manager level from Pune. This is empowering people. I am so happy for you all....and I want to tell you that most of you with reach Senior Manager Level in 6 months, which means monthly income of 20-25,000. For those who want to be part of our team this is a good time to let us know that even you want to grow with us. 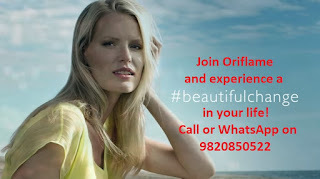 We are already on our way to create the biggest team of successful Oriflame Managers that India has ever seen. Oriflame is growing and you can also grow your business and income with Oriflame. Here's my number - 09820850522. Call me or WhatsApp me between 10am and 6pm and let me know if you too want to make it big in Oriflame and we will make a plan to make you successful, because.... In the last 8 years, we helped more than 30 people from our team to earn 10-25,000 monthly in commissions. We have a PLAN to train and support hundred Oriflame Consultants in Kolkata, Bangalore, Mumbai, etc to start earning your monthly check of 10-25,000 from Oriflame. And most importantly..... We want to include you in everything we do. If you look back, in 2011, when we told our group that we would help them earn more money working from home, than they had ever thought possible...... the people who believed in us are on the top now. Smita started growing, then Sanjdhara an Oriflame distributor from Mumbai earned more than she had made in her job. Nitu and her team in Dehi started succeeding. Mukta from Oriflame Gurgaon became Manager for the first time ever and continued to grow month by month. And Sumitha in Bangalore did the same thing. So did Vijay from Nagpur and Laxmi from Pune. 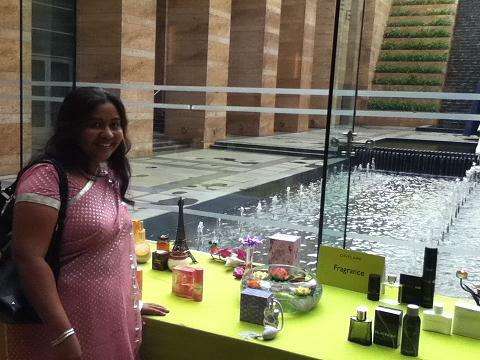 Dipali an Oriflame dealer from Pune is making steady progress. And the list goes on and on. and even many New Oriflame Consultants started succeeding. And month after month.... We continued to grow. Our team started getting bigger and bigger. We kept our promise. We said we're going to support you and make you Manager in Oriflame, we made it happen. The power of Law of Attraction is working for me and my team. As if what ever I say, is meant to happen. As if the magical powers are with me. But the fact is that we have a PLAN. And we will work on our PLAN for 2013 just the way we did in 2012 and if you want to grow fast you can join us and grow with us. Step 1: Decide you're going to be a part of our plan in 2018. Step 2: Decide by when you want to become a Manager in Oriflame. Step 3: Write down your goals for 2018 and call me to discuss your goals and jointly plan your growth in Oriflame with me.